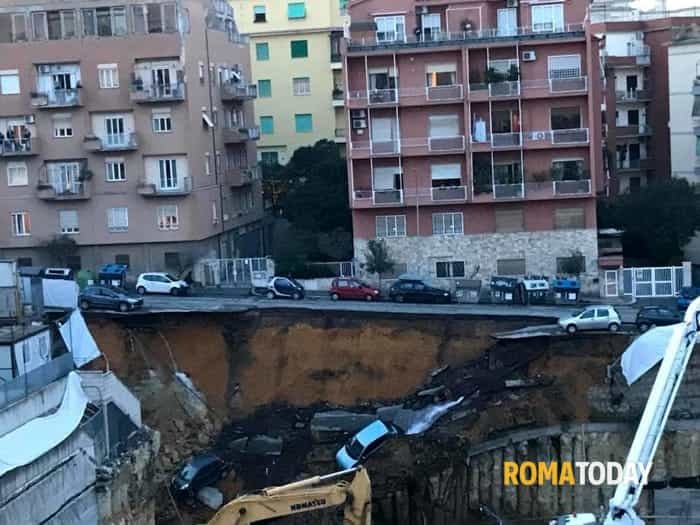 A mammoth sinkhole opened in Rome and swallowed six parked vehicles. It was a 30-foot-deep underground shipyard that collapsed. Officials evacuated two nearby buildings over fears of structural damage. Additionally about 20 households were evacuated.